Bird is a term which most of you are familiar with. Whenever you wake up early in the morning, you hear the sweet melodies from these beautiful creatures to fascinate your ears and welcoming you to anew day in their own way. Birds are found in numerous numbers on this planet and are of many different types. Each of these birds type possess different features, however they are common in many aspects and belong to the same class of animal. Birds are classified according to their diet, their size, shape and species. Let’s have a look on some of the popular types. Avocets are commonly found in warm climates. 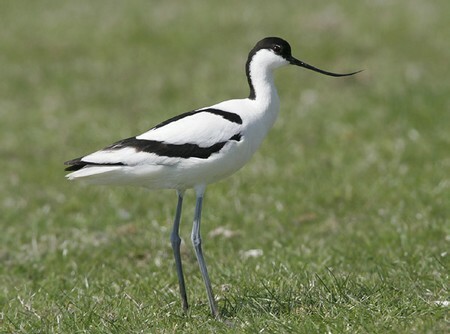 The four species of avocets belong to waders in the same avian family like stilts. Avocets usually have long legs and thin, long, upcurved bills. They have pied plumage, often with a hint of red. They use their bills to sweep from side to side when feeding in the brackish or saline wetlands. These upcurved bills give them their scientific name ‘Recurvirostra’. This type of birds have webbed like feet that help them to swim easily. They usually feed on aquatic insects and other tiny creatures, and usually nest on the ground in loose colonies. In estuarine settings they may live on exposed bay muds or mudflats. You can see these birds with the arrival of spring in your gardens and orchards. They are about 6½ inches long. Male eastern bluebirds have a white belly with a bright blue upper half, while female eastern bluebirds have a grayish head with blue shades. If you ever heard a catty mew, trace the sound into the thickets and vine tangles and you will find a gray catbird. The somber gray catbirds have a black cap and bright rusty plumage under the tails. They are closely associated with mockingbirds and thrashers, as they possess the same vocal abilities of this group. They have the tendency to copy the sounds of other species and string them together to make their own melody. Dove is considered as any of the species of pigeon constituting the family Columbidae (order Columbiformes). Often the terms pigeon and dove are used interchangeably. The term ‘Dove’ normally refers to the smaller, long-tailed members of the pigeon family. However, there are exceptions such as a domestic pigeon is often called as ‘rock dove’ and often portrayed as ‘Dove of Peace’. These common names however, not at all provide any evidences about their biological relationships. The bird having very large and broad wings with a broad tail is often found near the coastlines and marshes. 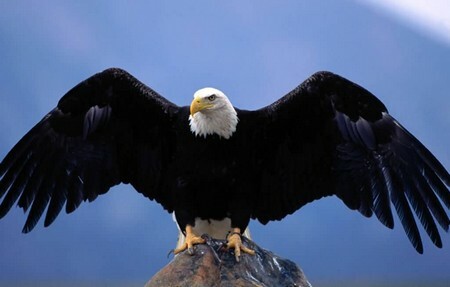 One of the vital distinct features of bald eagle is their white head and tail. This bald eagle has a yellow long hooked bill. Flamingos live in large colonies and normally have a pink plumage with a unique beak. These birds can be seen easily in many of the African countries, in few areas of Florida. Another specific type of species of these birds is found only in the Andean highlands. There are many different species of geese are known and most of them are migratory. These birds are found from medium to large size and can be tamed quite easily. These birds are vegetarian and not appreciated by the farmer as they have to keep them away from their corps. Herons are quite similar to many other types of birds in appearance such as spoonbills, storks and so on. The other names given to these birds are egrets or bitterns. Their major portion of diet consists of aquatic creature. These birds are commonly found near wetlands. 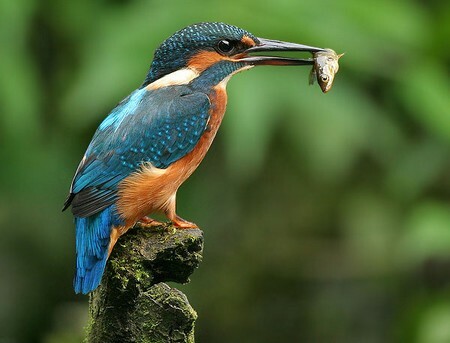 Kingfishers are beautiful birds which are found in the woodland and wetlands. When it comes to catch fish in the rivers, they are considered as excellent divers. They possess a good eye vision whether in the air or under the water. They have pointed bills that help them to catch the prey. Magpie is known as the thief bird in the birds’ lineup as this bird steals the young birds away from the nests. Magpies are also considered as the self reliant birds as they start hunting for their food while still very young. Due to such reputation (stealing young birds), they are the main culprit in the popular ‘The Castafiore Emerald and ‘Tintin Series’. Many different varieties of owls are normally found in all parts of the world. These birds come out in the night for their food. They feed on insects, mammals and even on other birds. These birds have a very unique feature that they can rotate their head in almost any direction. These are found in the Southern hemisphere with an exception of few species which reside in the temperature zone. Penguins are aquatic birds which are flightless. The Emperor Penguin is known as the largest in this group. Peafowl constitutes the two species of birds. Peafowl is known as the national bird of India and is adored for its attractive tail. The male peafowl is known as peacock, and the female is known as peahen. Quails are popular species of birds which are found in abundance in the Egypt and in many other parts of the world. In Egypt, large farms were established to breed this bird as they are rich in protein. These birds are lived in the deserts of Southwestern United States, Central America and Mexico. A large part of their diet consists of insects. They live alone or in pairs. Sparrows are small, seed-eating birds with conical bills. 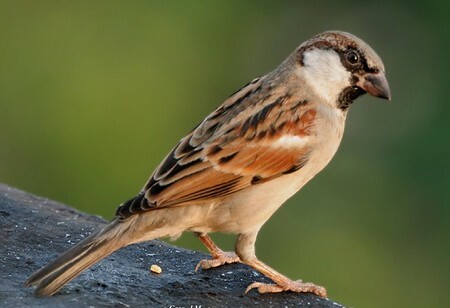 Sparrows are closely associated with the birds of Old World family Passeridae (order Passeriformes), such as house sparrow (Passer domesticus) that is found in the temperate regions of North America and Europe. However, the name sparrow is attached to many members of the New World family Emberizidae. These are very colorful birds having a large bill and known as the brightly colored, flamboyant birds. A large part of their diet is consists of fruits but they eat insects as well. These birds nest in three holes and are not migratory. There bright color and large bill make them distinguished from other birds. Vultures have bald head and brown bodies. These birds are known as scavengers as they live on other animals. They usually attack the wounded or sick animals. The woodpeckers produce a tapping sound while it pecks on the tree trunk. The woodpeckers do this either as means of communication or to find insects hidden in the tree trunk. These are perhaps given the name because of the fact that they peck on the wood. The above list contains just a number of few types of birds, while there are many others that cannot be covered in this short article. Birds love their freedom and they really enjoy flying in the open air rather than cooped up in a cage. It is better to enjoy them watching from a distance than having them in a cage.